I seek refuge in the accursed Satan, In the name of God the Beneficent the Merciful. Mr. chairman and brothers: While we are looking skeptically of the miracle of a nation reborn. Allah's inexorable decree is finding its fulfillment in the rise and fall of nations which is mentioned in the verse I have just read to you from Surah Muhammad. In the last section of the last verse Allah(swt) reminds us, and warns us that if ye turn back from your duties and responsibilities if you do not fulfill your obligations then he will replace you with another nation. Our Urdu speaking brethren use these words so beautifully when they describe some mishap that occurs in the community in talking about that other nation that can replace them. It is actually Qur'anic. And this really has been happening throughout history again and again. Allah (swt) first chose the Jews, the Bani Israel as he tells it in the holy Quran: "O children of Israel! call to mind My favor which I bestowed on you and that I preferred you to all other nations. "(Quran 2:47). That favor was that they should become the torchbearers of the knowledge of God to the world. This was the honor, this was the privilege that was at first given to the Jews But because they did not fulfill their end of the obligation, a Jew amongst the Jews Hadhrat Isa (A.S.) as recorded in the Christian gospels told them "That the kingdom of God shall be taken away from you and given to a nation bringing forth the fruits thereof. "(The Bible, Matthew 21:43). And that nation, we will happily own up is the Islamic ummah. It was taken away from the Jews and given to the Muslims. The Muslims then, among them who were the Arabs at first, were given by Allah (SWT) the privilege that they became the torchbearers of light and learning to the world , but when they relaxed and failed to bring forth the fruits, Allah(swt) replaced them with another nation. In history, we remember the Turks and Mongols destroyed the Muslim empire and when they accepted Islam they became the torchbearers of light and learning to the world. As Iqbal beautifully describes this situation: "O' you Muslims, you will not perish if Iran or the Arabs perish, that the spirit of the wine is not dependent on the nature of it's container." The container is our nations, our boundaries and the spirit of Islam is not dependent on our geographical boundaries or national limitations. So this is what Allah (swt) does again and again, he chose the Jews then he chose the Arabs then when they became lax he chose the Turks and when they became lax another people and so on and this is a continuous process. If you don't do the job, Allah(swt) will chose another people who will. In the world today there are a thousand million Muslim, that is ,one billion we boast! And 90 percent of this one billion happens to be the Sunni branch. We have stopped delivering the goods so Allah(swt) chooses a nation that we have all been looking down upon. The Iranians! The Shias! History has been very unkind to our brethren in Iran that the shah happened to be the ruler, and his name happened to be Muhammad. we can understand. But here is a man who is an Iranian, speaking Persian, whose name was Muhammad, and look at what he was stooping to. For sixteen years he had forbidden Jummah prayers. Sixteen years. We had been equating Iran with the shah and the shah with Iran. To us they were synonymous terms. But when you go into details we learn that the shah and the Iranian people were both apart. They were in reality foreigners to one another. over and I went and some others went and we saw. And that was the first whiff we had of the Iranian ummah in Rome. was a custom. It was like Eid. Tens of thousands are there, for what else, but to charge their spiritual batteries. It was a constant reminder to not forget. "My son gave his life for Islam" or "my father gave is life for Islam " that they gave their life for Islam. With that kind of system, Every Thursday is a spiritual injection and reminder that they are willing to give their life for Islam. there they are not projecting Iran. They are not talking about Iran "we are Iranians, we are Aryans" instead they are talking about Islam, about Islam, about Islam. There was not one semi-naked girl, not a single girl who was half naked there. If the shah had his way, if he was alive and organized it, there would have been semi-naked girls for everyone to stare at and feast upon. 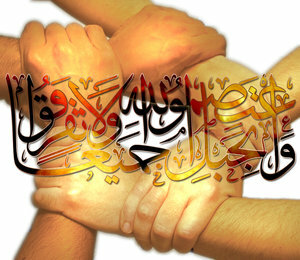 nation is involved in promoting Islam. We are talking about 20 million people that they can put into the field. If they had the weapons and the materials, every man woman and child would can go and do jihad. martyrs, well it almost became a full chance. (laughter). We visited those wounded in the war and no one was complaining about what had happened to them. One man had his leg amputated, and there were no tears, I never saw a single tear from anyone, and they were asking if it was possible to go back to the front. Their regrets were not about their injuries but why they can't go back to the front to fight and become shahid, this is the ambition of each and every Muslim there. When we visited the prisoners of war the Iranians had captured 7000 prisoners of war and they looked healthy, well clothed, well fed. One of my friends was interested in finding out what the Iraqi prisoners felt about their condition first hand. And anyone he asked said that they were being looked after very well. Then I had an idea. Some were here for over a year and others for a few months and I was wondering how many people had committed suicide. And I asked each group of the prisoners of war and asked each group how many people committed suicide. They said not one. I then asked the next group and so on. Not one single person committed suicide amongst the 7800 prisoners of war. And if we look at our so called civilized western country of South Africa, 46 people committed suicide in our prisons this year alone and they are well fed well clothed have their own cells and 46 committed suicide so far. And if people are not well treated some are going to want to find an easy way out but there was not one single person who committed suicide amongst the 7800 prisoners of war. Sunni world we are also waiting for the Mahdi to come but we want him to clean the stables for us, make us masters of the world and to make us sit on the thrones. The Sunni world is just passively waiting. Until then we can carry on with all our petty little squabbles, whatever we are carrying on now. And it is only the Imam Mahdi which can clean the world for us. This is the Sunni line of thinking. Khomeini on the other hand tells his followers that we must help prepare the way so that when he does come everything is already set up for him to act on. While we, the Sunni world are waiting for Imam Mahdi to pull the chestnut out of the fire for us, the Shias are preparing the world for his arrival. they send durood on the Prophet (pbuh) once but when the name Khomeini is mentioned they send Durood on KHOMEINI three times." I said " What do they say , what do they say in this so called 'durood on Khomeini'. " He said: Peace be upon Mohammad and the family of Mohammad. I said " Who is Mohammad? Khomeini? Who named Khomeini as Mohammad. Their durood is on Prophet Mohammad(s) and you say it is on Khomeini." his pocket and, Allahu Akbar, performed salat right there on the plane in his seat, and when he finished he gave this to his neighbor and he performed salat. And this may seem like a joke to us. Isn't it? And there were dozens of Sunnis on the plane and out of those dozens of Sunnis only one young man did the salat, and I tell you that young man wasn't me. But we are laughing at the other Guy. to the Shia you see he is not in the formula that we are taught as a child, so what ever little idiosyncrasies there exists between us and them we cant tolerate and reject we say that he is out because we are programmed to believe in only the four. But we accept the idiosyncrasies between the four. I say why cant you accept the Shia brothers as a fifth madhab. And the astonishing thing is that he is telling you that he wants to be one with you. He is not talking about being Shia. He is shouting "there is no Sunni nor Shia there is one thing, Islam." But we say to them "no you are different you are Shia." This attitude is a sickness of the devil. He wants to divide us. Can you imagine we Sunnis are 90% of the Muslim world and the ten percent who are Shias want to be partners and brothers with you in faith and the 90% are terrified. I cant understand why should you the 90% be so terrified. They should be the ones terrified. And if you just knew the feelings that they have for you. During Jummah prayers in Iran, there are a million people. And you should see the way they look at you when you pass by, they recognize that you are a foreigner and not one of them and tears start rolling down their cheeks. This is the feeling that they have for you, but you say no, you want to keep they out, afraid that they will absolve you. You can only be absolved if there is something better than what you have. I don't know, maybe some of you think I am a Shia, but I'm still with you all here. What is all this Shia-Sunni tensions? It is all politics. These antagonisms we have are all politics now. If a Sunni brother somewhere does something wrong you say oh the individual is not being very Islamic, he is a kaffir, But if a Shia does something wrong you want to condemn the whole Shia community, the whole nation of millions, and say they are all rubbish just because one Shias actions are not very Islamic. At the same time where we look the other way if one of your relatives does something serious because he is your father or your uncle. One group of Sunnis says to another "you are not a Muslim" another group of Sunnis says "you are not a Muslim you are a kaffir" look that's among us, and we fight among ourselves. And some of us do funny things. I met one brother who told me when you go to Newcastle go visit Mr. So and so and inshallah everything will be taken care of for you. So I went to the man and exactly as I was told he took me home for lunch and when I'm sitting at the table I see on the wall 'burat' you know what burat is? A donkey like animal with the face of a woman its supposed to provide electrical force. I told him this is not right. Allah(swt) created electrical force, you can not create it with a statue of a donkey with a woman's face. Oh and he was so upset. But he's a Sunni, he was a brother and is still my brother. This Sunni-Shia tensions is the work of the devil to divide us. Let me say something about Iran. What I found was that everything is islamically oriented. The whole nation is geared towards Islam. And they are talking about nothing but the Quran. I have never had a single experience with an Iranian when the man contradicted me when I'm talking about the Quran. Whereas our Arab brethren again and again you quote them the Quran and they try to contradict you with the Quran. They are Arabs, they are supposed to know the Quran better than us, but the Iranians seem to be on the wavelength of the Quran. Everything he is doing everything he is thinking about is the Quran. You remember Tabas when the American people wanted to free the hostages. The mightiest most technologically advanced nation on earth, a nation that can land a man on the moon and bring him back, a nation which tells you which part of the moon they will land and bring them back, they send mars and Jupiter probes. A nation that warned Pakistan about the tidal wave tragedy and they didn't heed the warning. They warned the Israelis in 1973 that the Arabs were on the move, they didn't heed the warning. That nation couldn't land in Iran. Imagine they went there with their helicopters and crashed them selves and got themselves killed. Imagine. A nation that lands on the moon and comes back cant land in Iran. And the Iranian people were not in any position to do anything to them. The Americans could have gone and done what they wanted to do. I went and saw the American embassy and you think that its just a big building, but man its acres and acres right in the center of Tehran. They could have easily gone in and gotten these people out, even if they lost a few men. They could have achieved their goals. It was very well planned. But you know what happened? Fiasco, retreat failure, the Imam Khomeini is told what has happened. He doesn't say Subhananla, he doesn't say Alhamdulilah, you know what he said. He quotes the Quran : "Have you not considered how your Lord dealt with the companions of the elephant?" 105:1 These are the words that came out of him. I tell you he is a Qur'anic computer. But we are so skeptical, the Muslim world has become so skeptical we don't believe in the Quran anymore. You don't really believe in the Quran, for most people it is all for entertainment, for the good spiritual feelings that you get when reciting the Holy Quran. But the directives that Allah(swt) gives, nobody seems to care. May Allah (swt) make these brothers of ours, the torchbearers and light of learning today to the Muslim world . And here is a nation geared to do the Job. When you look at them the earnestness that is in them, a nation that is not afraid, when you look at them with the enthusiasm they have.